1. Open the Schedule module. 2. 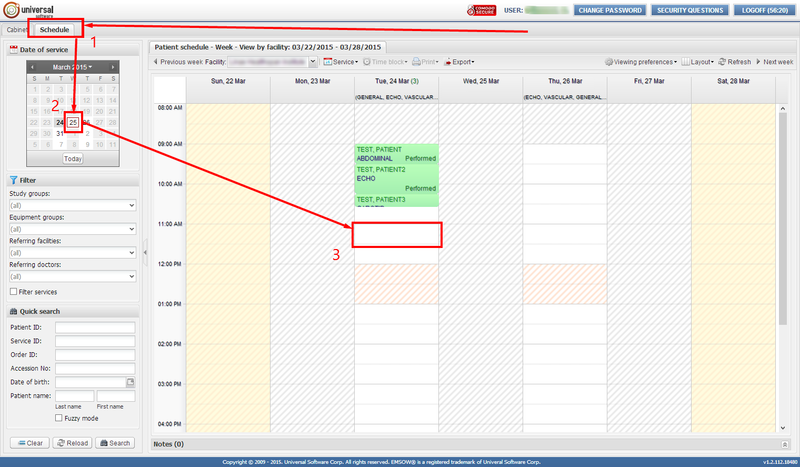 Select the required day in the calendar. 3. 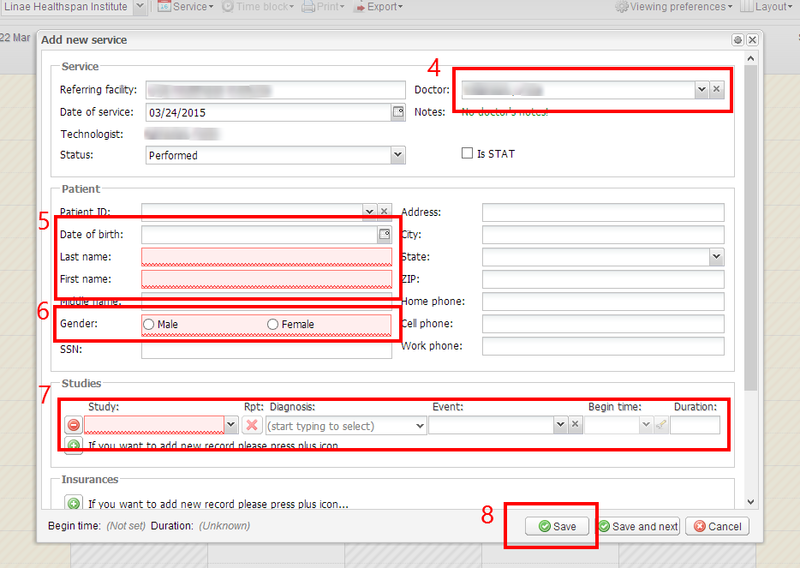 Double-click an empty slot to add an appointment. 4. Select the Referring doctor if there is more than one doctor in practice. 5. Fill out the Date of birth, the Last name and the First name of the patient. 7. Select the Study from the list of studies. Other fields, such as SSN, Address, Phone, Insurances and Notes are not necessary to fill out. 8. Save the service when you have filled out the fields.